Christmas is creeping closer and closer every day. Haven’t panicked yet? Now is the time! 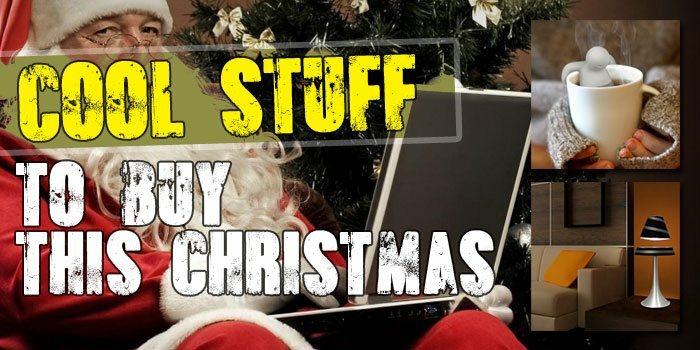 If you are thinking what are some cool things to get for Christmas this year, then this blog post exactly is for you. And no. I won’t be writing about some random, boring gifts here. 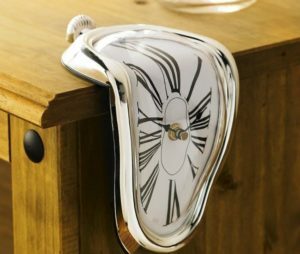 I’m going to write about genuinely cool, cheap gadgets and weird, unusual gifts that will leave your friends speechless. Get them one of the following gifts if you wish to be remembered for years to come! There are a lot of boring gifts out there. Just visit any supermarket during the holiday season to understand what I mean. According to statista.com some of the most popular gifts in 2013 where gift cards, clothing, electronics, books and money. And while you too could get your friends something really generic like a pair of socks or maybe a new blanket, wouldn’t it be more fun to come up with something completely unique? Here’s a list of the coolest stuff I found while browsing NeverTooMuchStuff.com. Meet Mr. 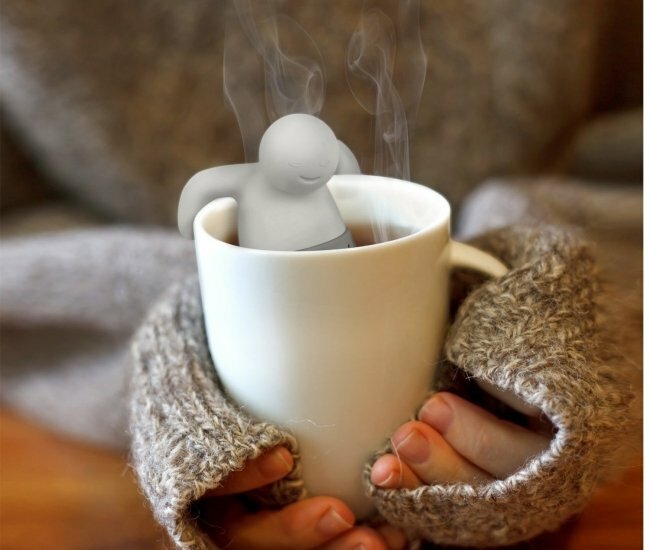 Tea, the Tea Infuser. Overall he’s a pretty cool guy. Eh hangs back, infuses your tea and doesn’t afraid of anything! Mr. Tea is a great gift for tea lovers. From now on they can drink their tea in style with Mr. Tea comfortably leaning back in the tea cup as if it were a hot tub. Mr. Tea will put you back a measly £3.75 and is quite possibly the cheapest practical gift you can get. Hell, why not get one for everyone? 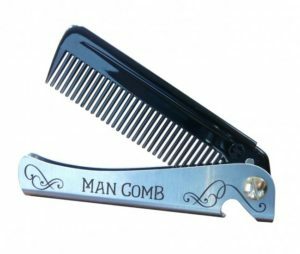 The man comb is perfect for both the beard as well as the hair. As a gift priced under £20, this unique accessory is a must have in every gentleman’s pocket. But it’s not just a simple comb. It’s also a bottle cap opener! 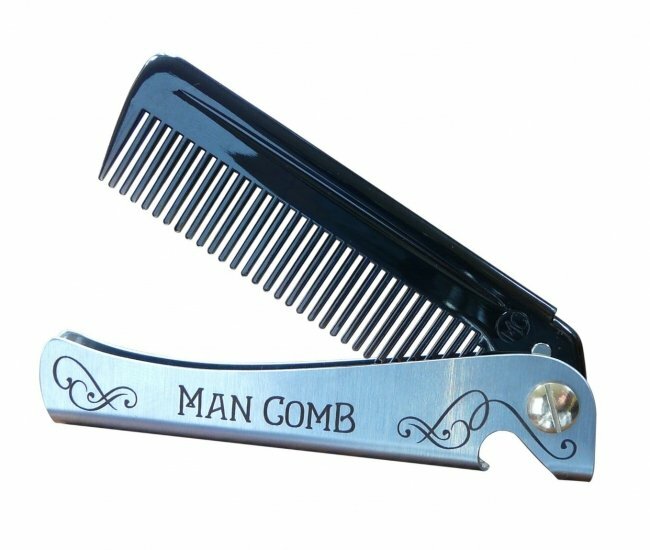 The man comb is a symbol of superiority as well as elegance. It will be clear to everyone that he means business whenever he whips out this sacred tool. “I don’t do drugs. I am drugs.” – those were once the words of Salvador Dali. A man known by his weird, yet stylish mustache and of course by The Persistence Of Memory. The painting, according to Dawn Ades, symbolizes the relativity of space and time. “A surrealist meditation on the collapse of our notions of a fixed cosmic order“. If your friend is into surrealism and modern art then you can’t go wrong with the melting clock gift for both home and office. For a mere £7.83 It’s an affordable masterpiece that sits gracefully at the corner of any desk. Whoa! If you’re looking for cool electronics to buy then consider this levitating speaker that looks like it’s pulled straight out of a sci-fi movie. 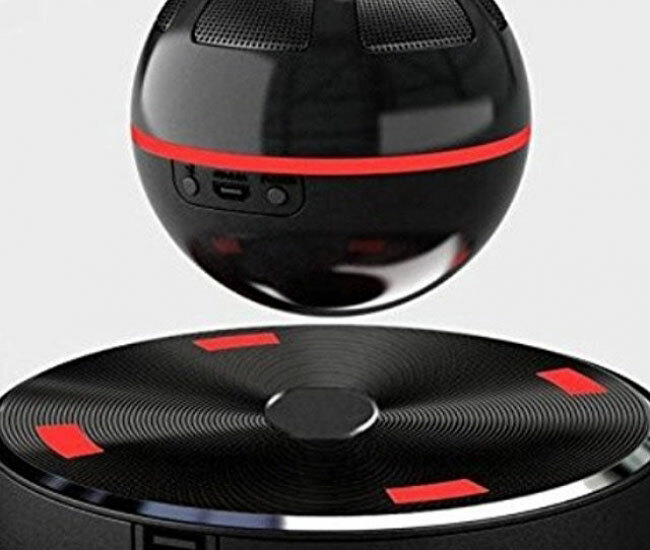 With no dirty tricks or gimmicks, this levitating speaker orb floats in mid air and plays all of your favorite tunes thanks to powerful magnets. (insert “magnets, how do they work” meme here). And just in case you don’t believe me, here’s a video demonstrating exactly how this geek merchandise works. Starting from just £72, you can get your friend (or you) a futuristic looking gadget that’s practical and actually useful for something. I can guarantee that it will be the centerpiece of the evening. NB! This device needs a US to UK power adapter. 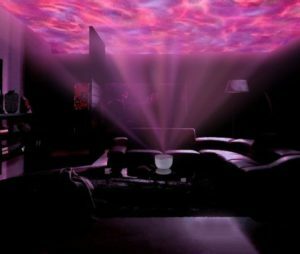 Yet another example of epic and cool electronics to buy this Christmas is of course the DreamWave Projector in the unique and cool tech sub-category. 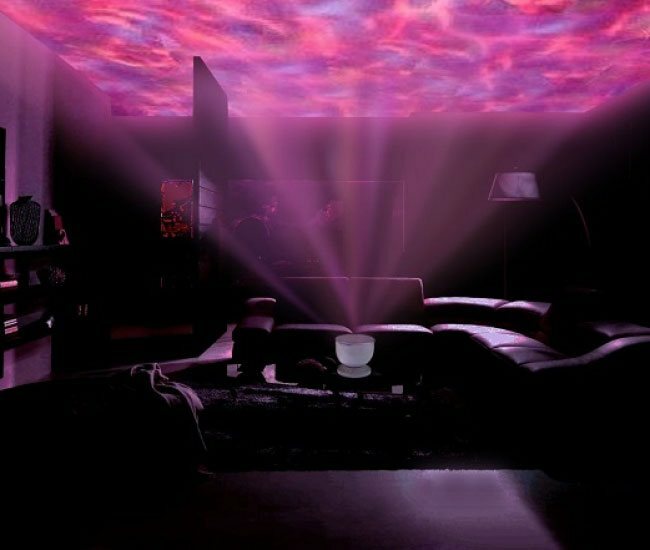 The device projects stunningly beautiful waves on both the ceiling and the walls in a darkened room. It’s an ideal gift idea for that special stoner friend or anyone else who would enjoy having cool psychedelic light shows right in their living-room. Starting from £105, it’s definitely not the cheapest of gadgets in my list. However if you truly want to give them something extraordinary then the price should be meaningless. Be sure to check out this video presentation to see the projector in action. What? Another levitating gadget? For sure! This levitating desk lamp is the light source of the 21’st century. 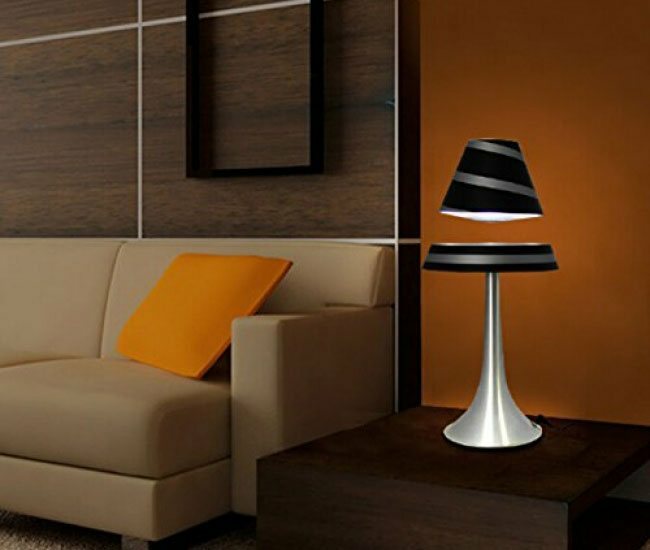 The lamp works by floating a magnetic disk that supports the shade on a magnetic field. Both the disk as well as the base contain powerful, opposing magnets. And thanks to the electromagnetic coils in the base all minor bumps and disturbances are corrected so the lamp doesn’t lose its balance. (Check this video for more info). Starting at £65.95 plus shipping, the levitating desk lamp is another great example of cool electronics to buy this Christmas. It’s so awesome that you simply can’t go wrong with this. Everyone will fall in love with it. Instantly. Without any dirty ink cartridges this portable Polaroid printer is capable of printing up to 25 photos before needing a recharge. 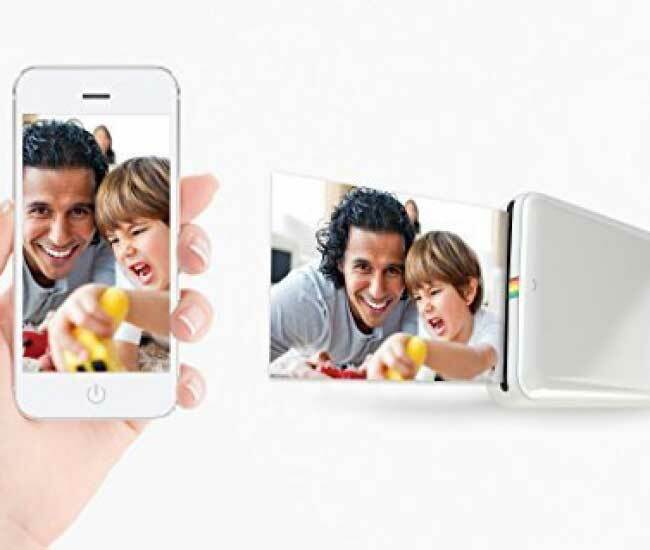 It prints your photos on a special kind of zinc photo paper. The printer heats the paper and activates its unique color-forming molecules embedded in the paper’s layers. Voila! The result is an instant 2×3 inch Polaroid photo the size of about a credit card. Going for around £100 it’s not the cheapest of gifts in my list (again). However when you consider the sentimental value of a single Polaroid photo, you’ll realize it’s definitely worth it. It’s essentially a gift for making more gifts! Just think about how your friend will photograph cool stuff and share the physical photos with people closest to them.